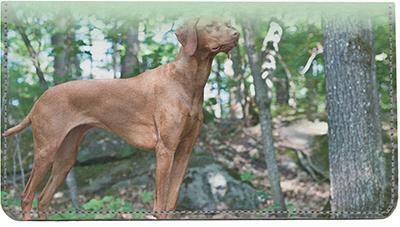 This Vizslas On The Hunt leather checkbook cover has a built in writing shield for writing duplicate checks. There are 4 slots for keeping credit cards, a pen holder and a clear window ID slot. This checkbook cover comes in a durable design that will last for years. We apologize, but this product is unavailable. Please check back soon.